Time travel films fall into an interesting and ironic dilemma fairly unique (although not completely) to their genre – they must figure out how to explain and rationalize the concept in an efficient method while maintaining sense and flow. It’s a difficult proposition and has been tackled in various ways throughout the years whether as a mere plot device that is used sparingly (ala Men in Black III) or in zany ways that is explained along the way (ala Back to the Future). In the end, the best of these films try not to be bogged down too heavily with the concept and surround it with other strong fundamentals. In many ways, then, Looper does a fascinating job at maintaining sense and intrigue by not worrying too heavily on the origins and semantics of time travel and turns out a solid film about morality and justice although unfortunately, it does not do enough to satisfy with some loose and unpolished parts and potential that isn’t reached. Looper follows Joe (Joseph Gordon-Levitt) who is a Looper, a person who has been hired to kill captured prisoners of gangs from the future who are sent back via time travel, which has been invented thirty years later. Doing this allows Joe to obtain wealth and power in a dystopian world with only the rich and the poor. However, loopers have on condition in which due to the nature of the work, they must at the end of their tenure kill their future self who is sent back in a similar way. Unfortunately for Joe, he meets his future self (Bruce Willis) sooner than expected but is outsmarted by him. Now, the younger Joe needs to clear his name while on the run from his employer, run by Abe (Jeff Daniels), while figuring out how Sara (Emily Blunt) and her son, Cid (Pierce Gagnon) play into his older self’s plan. 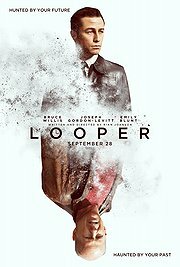 Looper is at it’s best when it focuses on it’s atmosphere and builds an intriguing background behind it’s characters. The film has a beautiful look about it that is grounded in the present day yet feels free to mix itself a bit with sci-fi elements here and there such as hoverbikes and mutant abilities. It also creates a world that lacks a middle class – simply a very impoverished world versus a rich and powerful one. Utilizing mostly dark and gritty overtones while sprinkling in actual urban and suburban (and rural) neighborhoods, the dynamic is immediately set as an interesting one, especially mixing in the loopers and their role within the world. Much like it’s world, the main characters, Levitt and Gagnon, are quite noticeably well-rounded and well-acted. The characters may seem well far and apart but there is an interesting dynamic not only between the two but also within each of their own arcs. Gordon-Levitt continues his march as a steady lead with a role a bit darker and focusing less on his charisma and more on his gritty attitude. Personally, the prosthetic make-up wasn’t much of a distraction and his mannerisms to Willis are pretty spot-on to make the case that the two are one and same but even further, he pulls off a character that audiences will both stand behind yet still double-back on as his motivations aren’t exactly pure. The other surprise standout is Gagnon as well who shows off a mature and smart child set in the middle of several disputes – it is a fine performance that holds up against other veterans actors on set. Finally, the plot as well is fairly well-written and well-paced to match. It’s noir styling mixed in with both a sci-fi and gangster setting makes for a good mix that doesn’t rely too heavily on one genre yet does not forget it’s elements as well and to it’s credit, doesn’t worry about having to explain the mechanics of it’s world such as how time travel came to be since the plot needed no such explanation. The culmination to it’s climax also deserves a good mention as it comes off as very solid. One final mention needs to go to the cinematography work that (at least early on) is frenetic and fascinating to watch unfold. The disappointing foils to these positive, however, come within the film’s devaluation of it’s other characters, some underwhelming special effects and all-too-convenient plot devices and arcs. On one level is the simplistic characters. Other than the main characters mentioned prior, many of the other characters’ motivations are fairly simplistic and one-dimensional. The villain for instance (Jeff Daniels) is created to be a very hardened, no-nonsense character yet never really is touched on other than supposedly frightful moments of anger. Even Willis is relegated to his usual gruff action role and is only given some context thanks to the time travel mechanic (along with one terrible transition shot that tries to establish a connection with Gordon-Levitt and Willis that is almost laughable). Just as strange is the special effects which unfortunately is in stark contrast to the beautiful atmosphere. Futuristic elements like the hover bike seem poorly thought out and it’s the film’s benefit that there isn’t too many special effects heavy scenes. Finally, much like the side characters, although the ideas are clever along with the plot direction, some of the plot devices seem too obvious and out in the limelight that most audience members should notice before the actual reveal – more of a shame as some of the interesting back-and-forth moments are dulled by these revelations that come too early and too plainly. Looper is a solid and fairly clever sci-fi time travel film that still felt like it didn’t live up to it’s full potential. The Blade Runner-esque noir world created here is fascinating in it’s creation surrounded with a good dichotomy between Levitt and Willis along with some clever twists along the way. However, there are noticeably cracks in terms of fairly one-note characters, some underwhelming special effects and plot devices that are too evident. Make no doubt about it – it was a pleasure watching Looper from start to finish topped off with a satisfying ending, but when the concept of a film is so strong, it’s disappointing to see it not go even further and tighten up the loose cogs that made the film merely good rather than great. 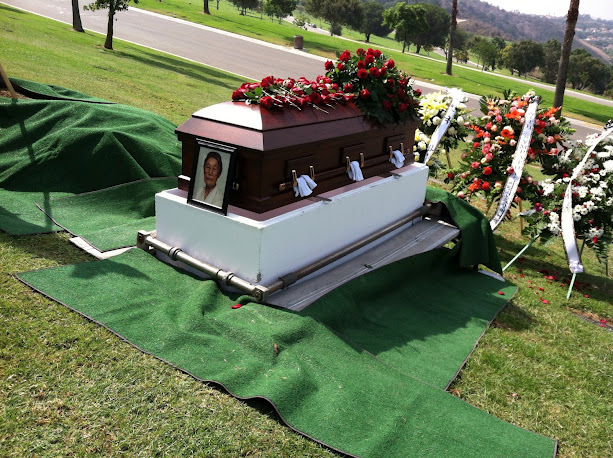 Below is a slightly modified post I stated during my grandmother’s funeral on October 5th, 2012. My grandmother, Mook Hee Wie, passed away Tuesday morning, October 2nd, 2012, at the age of 96. My name is John Wie. I am the grandson of Mook Hee Wie. I was supposed to have written a letter to my grandmother, but I’m a terrible letter writer. Instead, I am a much better storyteller. And I wanted to share with you my story of my grandmother. However, there are many stories that we can discuss with my grandma. It could be a story of despair…of imprisonment…of perseverance…and of hope. However, today, in the short time I have, I would like to speak a story of my grandmother, the storyteller. I grew up with my grandmother who loved to talk…a lot. She would talk about her stories in Korea, about my dad and about me as a baby. She spoke about her stories walking me to school as a little child and throughout much of my life. She inspired me to be a storyteller myself, whether through my videos and my writing; something that I’ll never forget. I wanted to keep this short and sweet so I’ll end with one very short story my grandmother told me. When I was very young, she would always tell me that if I stand completely still, no matter where I’m at, a breeze would come. It’s something that I practice to this day, and now, when I feel that breeze, it’ll remind me of my grandmother, watching over us. Thank you.